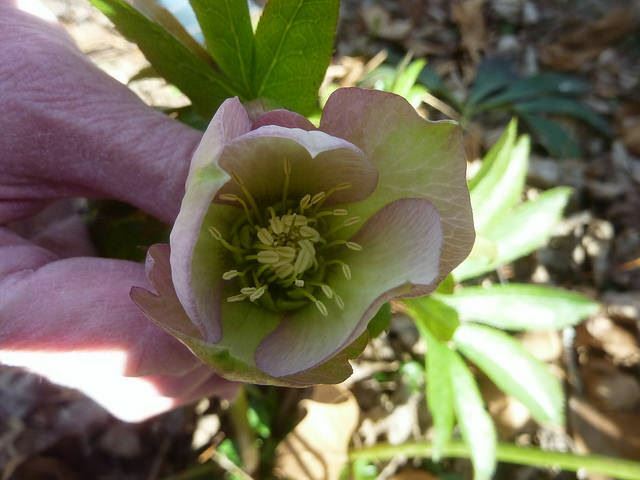 Helleborus sp. (Lenten Rose), Cabin John Regional Park, between Bradley Blvd. and River Road, Montgomery County, Maryland. Feb. 20, 2017. Rockville Quad. Several clumps of this were seen growing in woods 25-50 feet from Cabin John Creek.